Parents at Curriculum Night could probably sense my excitement at bringing the Maker Movement to KCS. Now that the students are back, it’s time to get making. This will be a marathon, not a sprint, but tinkering with electronics has already started for students visiting the library’s new Imagination Station. 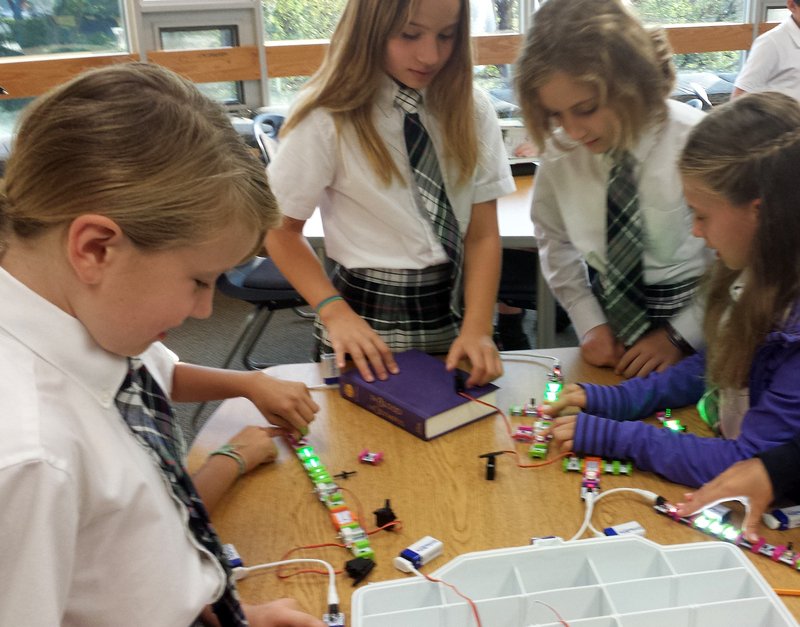 Students can borrow the littleBits Workshop set and readily start creating things that “do something”. What is STEAM education and littleBits? littleBits is an amazing new tool helping to bring electronics to the masses. I’m excited to see how this innovation in turn will inspire our students. This entry was posted in Maker Movement, New Initiatives and tagged hacking, littleBits, maker kids, maker movement, makerkids, makers, makerspace, tinkering by Andrea Fanjoy. Bookmark the permalink.